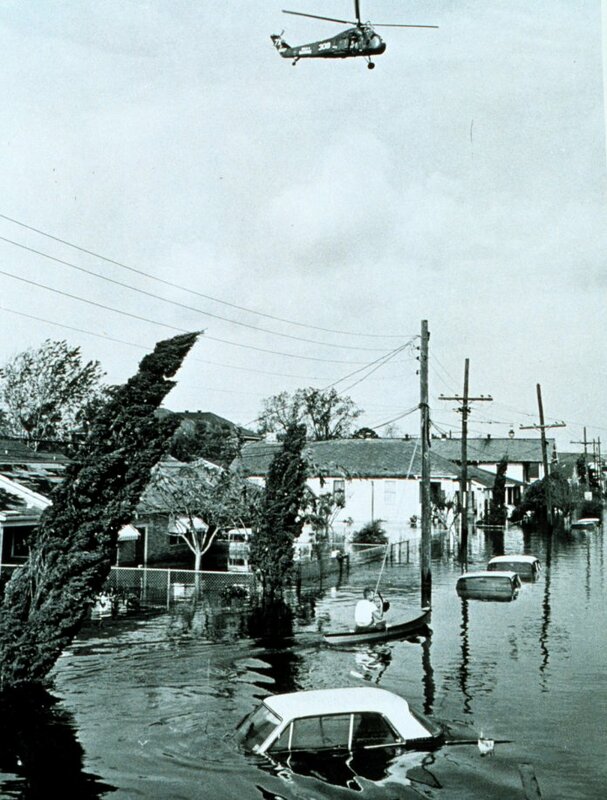 Early on Sept. 10, 1965, Hurricane Betsy came ashore in Louisiana, bringing devastating flooding to New Orleans. 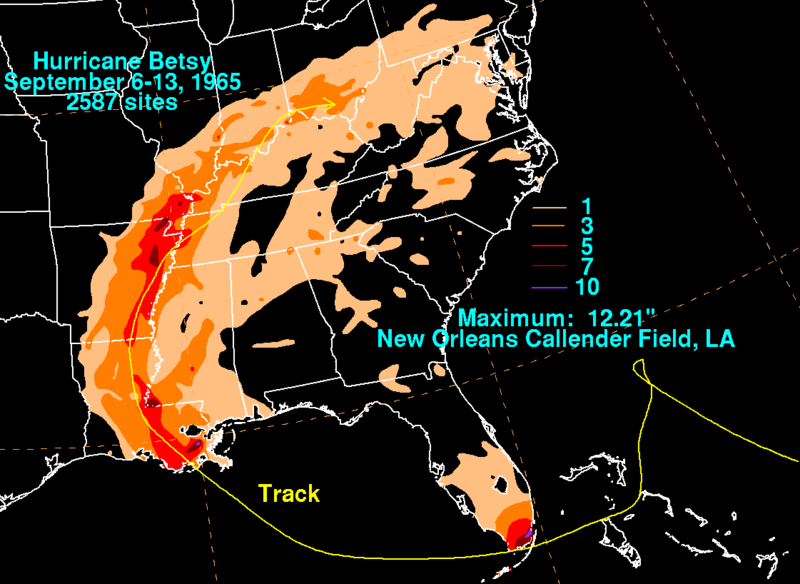 Betsy became one of the most expensive storms up to that date, and it’s erratic path leading up to that landfall caused considerable consternation for the public, forecasters and research scientists alike. Betsy formed from an Africa easterly wave that came off the African coast on August 23rd. It was tracked by satellite and came within distance of Navy Hurricane Hunters by August 27th when it was discovered to have a closed circulation. The tropical depression was prematurely named ‘Betsy’ shortly after this flight, but later analysis showed it did not reach tropical storm strength until the 29th. By that time it was moving northwestward, toward the Project STORMFURY seeding area. Dr. Joanne Simpson, Project Director, had ordered the fleet of Navy and Weather Bureau research aircraft to deploy to Puerto Rico on August 28th. Over the next two days, the planes monitored the storm’s slow progress toward the designated part of the ocean where they could carry out their weather modification experiments. By August 31st, Betsy had just managed to crawl into the area as a hurricane, so a seeding experiment was scheduled for the next day. The first aircraft had already taken off from Roosevelt Roads Naval Air Station, PR the morning of September 1st when word came from the National Hurricane Center that overnight Betsy had completed a loop in its track and was now headed southward and out of the allowed seeding area. 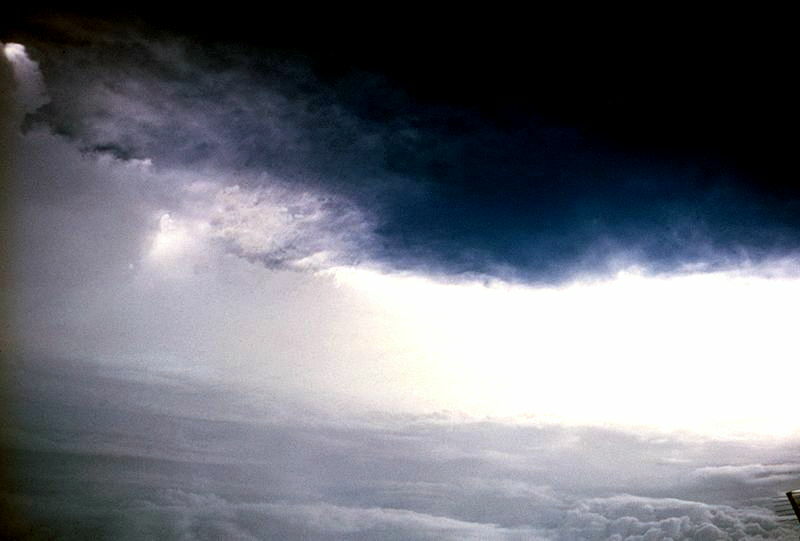 The seeding experiments were called off and the mission changed to a ‘dry run’, where the same patterns were flown but no silver iodide was released into the storm. Unfortunately, no one informed the press which had been alerted to STORMFURY’s seeding intentions the previous day. By the following day, Betsy had complete the loop and was headed westward, well outside of the seeding area. The Weather Bureau aircraft continued to monitor the hurricane as it rapidly intensified. By September 3rd it was moving northwestward east of the Bahamas, so a multi-level examination of the hurricane was carried out including two high-level jets, the Weather Bureau B-57 and an Air Force U-2. As Betsy reached a strength of 138 mph (222 km/hr), it slowed again then completed another loop just east of Cape Canaveral. Another multi-plane Air Force experiment was carried out as the storm idled at sea. 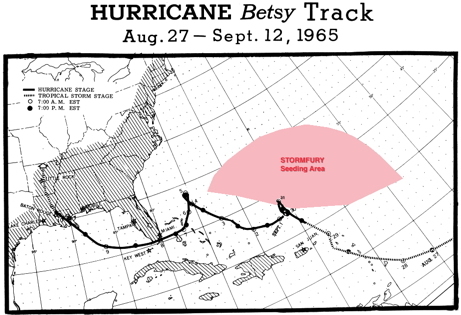 After a day, Betsy moved southwestward over the northern Bahamas then west through the Florida Keys as a major hurricane doing considerable damage to south Florida. Once in the Gulf of Mexico, the hurricane turned northwestward, sped up, and headed directly toward Louisiana. Betsy began strengthening again, this time achieving its peak winds of 155 mph (250 km/hr) just prior to slamming in to the Louisiana shore south of New Orleans. Despite its winds diminishing just offshore, several levees protecting the city failed and New Orleans suffered catastrophic flooding. Betsy continued its rapid weakening, but dumped heavy rain amounts along the Mississippi and Ohio River basins. Along its track the hurricane was responsible for over 80 deaths and US$1.4 billion in damage. As a consequence of the damage to New Orleans, the Federal Government ordered the U.S. Army Corps of Engineers to assume responsibility of rebuilding and maintaining the levee system around the ‘Crescent City’. As the storm was making landfall, south Florida newspapers ran articles blaming Betsy’s eccentric track on the supposed seeding done to it back on Sept. 1st. Since no one at Project STORMFURY nor in the Weather Bureau had advised the public or the press that the actual seeding of the storm had been scrubbed, many people believed it had been carried out and the link to its odd path seemed plausible. Although attempts to clarify the facts about STORMFURY and Betsy were made after the fact, the notion of a link persists to the present. Westerink, J. J., R. A. Luettich, J. C. Feyen, J. H. Atkinson, C. Dawson, H. J. Roberts, Ma. D. Powell, J. P. Dunion, E. J. Kubatko, and H. Pourtaheri, 2008: A Basin- to Channel-Scale Unstructured Grid Hurricane Storm Surge Model Applied to Southern Louisiana. Mon. Wea. Rev., 136, 833–864. Willoughby, H. E. , D. P. Jorgensen, R. A. Black, and S. L. Rosenthal, 1985: Project STORMFURY: A Scientific Chronicle 1962–1983. Bull. Amer. Meteor. Soc., 66, 505–514. 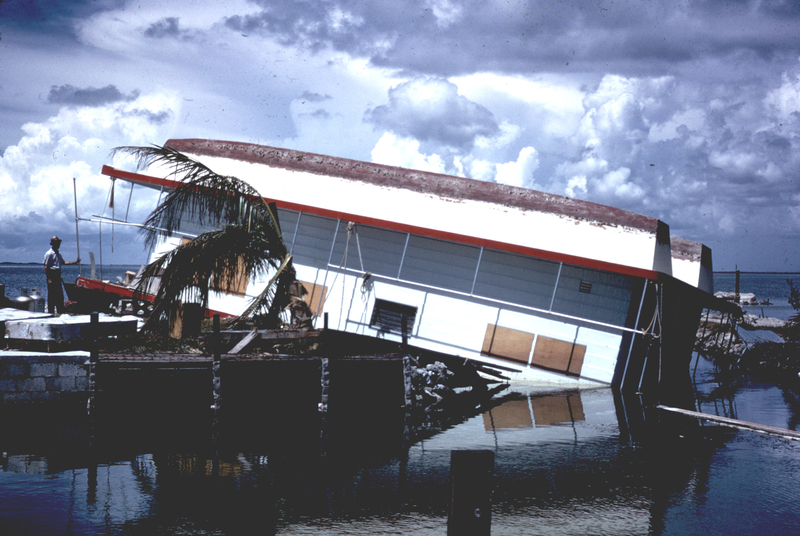 Black, P. G., and G. J. Holland, 1995: The Boundary Layer of Tropical Cyclone Kerry (1979). Mon. Wea. Rev., 123, 2007–2028. Lewis. B. M., and H. F. Hawkins, 1982: Polygonal Eye Walls and Rainbands in Hurricanes. Bull. Amer. Meteor. Soc., 63, 1294–1301. Miller, B.I., E.C. Hill, and P.P. Chase, 1968: A REVISED TECHNIQUE FOR FORECASTING HURRICANE MOVEMENT BY STATISTICAL METHODS. Mon. Wea. Rev., 96, 540–548.